This piece, written by RF Code's Christine Burke, was originally published in DCJ Magazine. See the original piece here. Enterprises are moving ever more firmly into the digital realm and transforming their business models as they do so. The shift to digital is often made to simplify activities or increase efficiency. Yet data centers, which house critical information necessary to achieve this goal, are complex systems to build and maintain. As technology has evolved, data centers have also undergone a fundamental change. In the early days, they were largely storage facilities. Now, they’re the underlying support layer for many businesses, especially those running an as-a-service model and those delivering digital products. These mission-critical IT centers now must support a wide range of activities—basic business operations, analytics, Internet of Things (IoT) devices and cloud computing, to name a few. Thus, enterprises need data centers, on site or outsourced, that enable this scope, and any performance dip is a threat to the bottom line. To maintain data centers and ensure optimal performance, enterprises must have a keen understanding of what’s happening physically in these facilities. The IT team must therefore monitor, maintain and protect the tangible equipment, such as servers, cooling units, main and backup power supplies, and the physical space they all occupy. Audits—inspection and analysis of the physical assets—are occasional, typically no more than once per year. Yet waiting for an official audit, whether internal or external (for those subject to regulations), isn’t an option for most enterprises. Conditions and equipment change often, and if these changes are ignored for too long, they can reduce performance or increase operational costs, such as cooling and heating. Since effective data center management is more than simply counting the number of racks and servers or checking the temperature controls, insufficient understanding of the assets, layout and physical status of the facility can create huge headaches when an official audit rolls around. The best approach is to track these physical assets and conditions regularly; enterprises must be able to routinely, in real time, inspect the data center and its environment to maintain peak performance. Because data centers house mission-critical information, either for the business or for other enterprises that outsource these services, physically protecting the system in every way is critical for owners and managers. They face two major challenges in this regard: tracking assets, including equipment, the building and related infrastructure, and maintaining the environmental integrity of their facilities. The physical equipment and assets face a variety of threats, natural or otherwise, such as poor maintenance; movement throughout the facility; fire; water damage from leaks, floods, or storms; access by unauthorized personnel; heating and cooling changes; and access to power. To operate at peak performance, the data center staff must monitor all of these conditions to be able to address issues as they arise. Data centers are dynamic places, routinely expanding the space, adding new equipment and removing outdated equipment, updating existing equipment, and moving assets around. The ability to find each asset is critical. But a manual approach takes a lot of time and resources, especially for facilities that span different buildings in a complex or that span different cities, states or countries. Imagine being unable to find a critical asset when you need it, such as during an official audit, and not even knowing where to look for it. The time you spend looking for lost assets costs your organization money and, if it happens at the wrong time, causes a huge headache during an audit. Manually tracking physical equipment is time consuming and error prone, especially for data centers that operate across multiple locations. As they grow, maintaining the basic business processes and ensuring that all assets are operating correctly requires keeping track of specific data for each asset: manufacturer and model number, age, location in the data center, performance, and maintenance history. 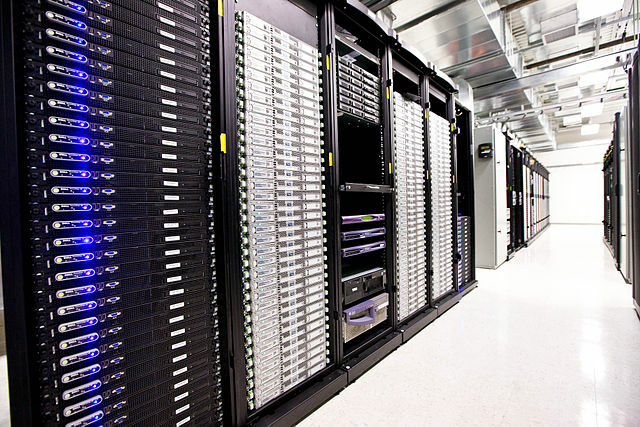 The data center’s physical environment is also essential to efficient operations. It means making sure to have both primary and backup power, to manage the temperature and humidity and monitor for fluctuations, and to have fire and water detection and protection. Managing the environment is a challenge for every data center operator. Any change in temperature or humidity makes a difference in costs—the colder you keep it, the higher the energy costs. Fire or water damage from leaks and floods harm physical equipment, so it’s important to identify these threats in real time to address them and minimize their impact on the facility and operations. The solution to tracking the data center’s physical environment is real-time, automated asset management and environmental monitoring throughout the life cycle of the assets—deployment, operations, maintenance and decommissioning. When tracking physical assets, this monitoring eliminates inaccurate manual processes and reduces the time required to locate equipment for maintenance, replacement or audit. Manual processes for tracking assets are slow and, depending on the size and location of the data center, essentially impossible. Environmental conditions are hard to control—temperature and humidity are constantly changing and can hinder your operations by slowing or damaging equipment or hit your bottom line by making you spend more than necessary to efficiently and effectively cool or heat the facility. Real-time monitoring for anomalous events, such as fire or water damage, is necessary to protect the assets. Any delay in getting the information about these conditions can increase damage to the facility and equipment and increase power-usage costs. A much better approach is to have continuous inspection and analysis of your assets and environment that alerts you to changes, enables updates and repairs when necessary, and smooths the audit process. For true protection, you need real-time access to see the big picture and to see the details for devices and areas in the facility. Real-time visibility to track changing assets and environmental conditions and to make cost-saving adjustments immediately. Wire-free sensors on individual assets throughout the environment to monitor and transit information about conditions in real time. Intelligent gateways to manage data from the sensors and to update the software automatically. Integration with other mission-critical applications, such as building-management systems (BMSs), data center infrastructure management (DCIM) systems and IT service management (ITSM) applications, to enable seamless operations. Owners and managers have a big job when it comes to managing and maintaining data centers. These mission-critical facilities are the backbone of today’s businesses, and any downtime is a serious problem for operations and the bottom line. Top-performing companies use wire-free, real-time monitoring of each asset, as well as the physical environment in all data center areas, to maintain control, to ensure the facility is performing at its peak and to be ready when audit time arrives.